This formation is known as 'crab's eyes'. 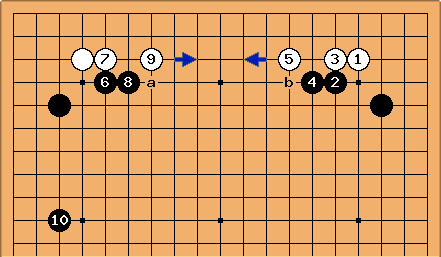 (kaninome in Japanese) It is more often adopted by White, as a way of countering Black's influence on the lower side (for example against nirensei). That was the opening in the famous Sakata vs Takagawa game. 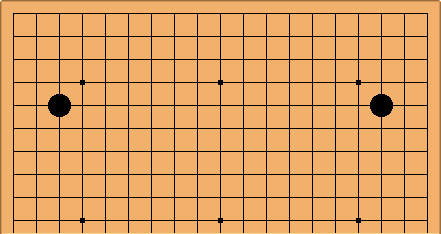 If White approaches normally on both corners, double pressing in the diagram is a good strategy; White's two solid groups collide in the same area, making them over-concentrated. Note that a and b are sente for Black, gote for White. See some other slithy toves at Jabberwocks.